It’s a new year, and with that comes the need to check WordCamp sites created last year with last year’s Global Sponsors to ensure they’ve been updated for 2018. An email with updated sponsor information has gone out to all 2018 camps, but the next step is a site audit to ensure sponsors are being properly recognized on each site. We need a few existing deputies who have access to WordCamp’s Help Scout to volunteer to check each 2018 WordCamp site, let us know if the sponsor areas are accurate and reach out to the team to remind them to update if it isn’t. Ideally this project will be completed by Monday, January 15, 2018. We’ve created a spreadsheet listing each event, the event’s region, email address, and a column for you to leave any notes. If you’re interested in checking a few sites please dive right in, just sign off on the completed items by putting your name in the “checked by” column. You can find the spreadsheet here. For more details read through the Global Sponsors page in the handbook. If you have any questions let us know below! Hey folks, good news! We have a new global community sponsor in the Western region for the second half of 2016: BoldGrid! I’ll be pushing out the sponsor post to each Western-region WordCamp on the schedule this week, and following up with organizers to make sure they get the message. 🙂 During that process, we might revisit global sponsorship grants with events that are struggling with fundraising, but we won’t be adding to the global grant if that would mean over-funding an event. 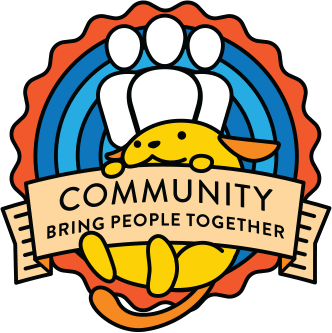 I send a quarterly report to our Global Community Sponsors on what the WordPress Community team has been up to in the past 3 months, and I thought it would be worth sharing amongst ourselves as well. 🙂 So here it is: our Q2 WordPress Community activity report! Twenty-eight WordCamps were held between April and June (11 in the Eastern sponsorship region, 16 in the Western sponsorship region, and WordCamp Europe which of course is not a part of the global sponsorship program), with a total of nearly 9,000 tickets sold. The biggest event in this period (not counting WordCamp Europe) was WordCamp Miami, with three days of events and over 1,000 attendees, closely followed by WordCamp Atlanta, which sold 928 tickets for their three-day event. So. Many. WordCamps! We have 33 camps currently scheduled for the July-September period, 11 WordCamps scheduled for Q4 (including WordCamp US), and 31 WordCamps that have been approved for pre-planning (about 10 of these are slated for 2017, but still). We’re right on track for seeing more than 100 WordCamps organized this year! The WordPress meetup chapter account grew by more than 56 groups in Q2 (April-June), with a total number of groups on the chapter account clocking in at 305 as of July 1! There were a whopping 806 official meetup events in just the second quarter of this year, with a recorded attendance total of 15,976. The total number of members across all groups on the chapter account is currently 112,778. In the first half of 2016, we’ve added nearly the same number of meetup groups to the chapter account as we added for the entire year of 2015. Yeah, I can’t believe my eyes either! These last three months, our deputies have been focusing on providing as much support as possible to our WordCamp and meetup event organizers, who have been busy elves as you can see above! We’re going to start working on the 2017 Global Sponsorship program around September, and send out a sponsor survey around that time to find out what our global sponsors are loving and also where we can improve for next year. Finally, the WordCamp Incubator program announced three locations for late-2017: Denpasar, Indonesia, Harare, Zimbabwe, and Medellín, Colombia will all have WordCamps this year for the very first time! Dates for those events should be announced no later than August, so stay tuned! For companies interested in joining the global community sponsorship program in the second quarter of 2016, we’ll be holding a Q&A hangout on Wednesday, March 9, 12pm – 1pm Pacific time. If your company is not already enrolled in the global community sponsorship program but would like to be, and you have questions about the program, please reply in the comments or email support@wordcamp.org, and we’ll invite you to the Q&A. Companies that wish to join the global sponsorship program for Q2 must confirm and pay their first invoice no later than March 15. If you’re an event organizer and have questions about the global sponsorship program, check out this page in the handbook! If you have more questions after reading that through, check out Sponsorship Office Hours, Wednesdays at 17:00 UTC in #events. We are still waiting for payment from Bronze global sponsors DreamHost (Bronze Western) and Plesk (Bronze Western), but they’ve returned their signed contracts and issued payment so it’s just a matter of a few more days until we can add them to all the 2016 sites. Gold global sponsors should be merged into the highest local sponsorship level, Silver should be merged into the second highest, and Bronze should be merged into the third highest, and then organizing teams should acknowledge global sponsors like all other sponsor at that level. Essentially, global sponsors should receive whatever is in their global package plus anything additional you’re providing to your local sponsors, if your local packages include additional items. If you have a question about how to work with or acknowledge your global sponsors, please just leave a comment on this post or ping Kevin or me on Slack — we’re happy to help clarify. We’ve been talking to lots of other companies, too! We’ve responded to everyone who reached out via email all the companies who sponsored more than 5 WordCamps last year. Here’s the status on outreach. We’ll continue to roll in additional global sponsors into the program on a quarterly basis as the year progresses, but with plenty of time before each quarter begins so we don’t put early-quarter camps in a pinch. Announcement as a Global Community Sponsors will start up on the WordCamp Central blog next week. If you have any questions about the global sponsorship program at all, please let us know! Curious about what companies have signed on as global sponsors for 2016? Here’s a list of confirmed sponsors, which I’ve broken up by region, for ease of reference. As we receive payment for each sponsorship (all the confirmed sponsors were invoiced between Jan 7 and today), either I or @kcristiano will add these sponsors (with updated descriptions) to the website of each active 2016 WordCamp and then send that informative intro email to each sponsor for each active WordCamp on the schedule in their region. I’m updating the planning handbook documentation with the updated info as well. Got questions? Ask ’em in the comments! Last week we finalized our 2016 Global Community Sponsorship program, yay! Working with @kcristiano, I emailed details about the program to past and some prospective sponsors who had already expressed interest. In January, we’ll email every company that sponsored a WordCamp in 2015 to thank them for their support and let them know about the global sponsorship program as well. In the post about a global sponsor that wasn’t, the company in question was Media Temple, and they should *not* be receiving sponsor benefits. Please check in with all your WC organizers and ask them to a) not thank MT for being a sponsor, b) remove them from the WC site if they are listed there. @kovshenin or @iandunn can you take them out of any default listings?